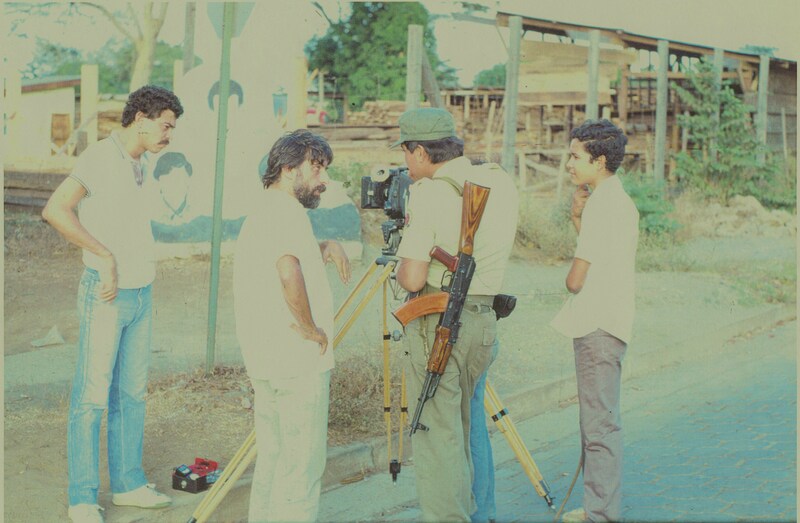 35 years on from the Sandinista revolution, a very rare opportunity to view one of the most committed documentary projects of the late twentieth century in its entirety – Marc Karlin’s Nicaragua series (1985/1991). 11.45 Q&A with Jonathan Bloom. Harris, Monica Henriquez and Susan Meiselas. On his death in 1999, Marc Karlin was described as Britain’s most significant, unknown film-maker. For three decades, he had been a key figure within Britain’s independent film community; he was a founding member of the influential seventies collective, the Berwick Street Film Collective; a leading player in the Independent Filmmakers Association, which played a critical role in opening up television through Channel 4, and a founding member of the group that published the independent film journal, Vertigo, (1993 – 2010). Marc Karlin: Look Again, focusing on Karlin’s twelve essay documentaries between 1980 –1999, will be published by Liverpool University Press in Spring 2015. This is one of the outputs of The Marc Karlin Archive, set up by Holly Aylett, fellow documentarist and founder member of Vertigo; anthropologist, Hermione Harris, partner of Marc Karlin, and film archivist, Andy Robson. Since 2011, the Archive has organised and preserved Marc Karlin’s film and paper archive, and introduced new audiences to his work through events and screenings.